The "Guangzhou Giant Panda Culture Night" aims to facilitate cultural exchanges and cooperation between China and Portuguese-speaking countries and jointly promote the development of the world's giant panda culture, which attracts many cultural figures and gurus from China and Portugal. Victor Mendes, Mayor of Ponte de Lima, Portugal, André Sobral Cordeiro, Consul General of Portugal in Guangzhou, Rita Santos, Chairman of the Regional Council of Portuguese Communities in Asia and Oceania and President of the Macau Civil Servant's Association, and more than 50 statesmen and entrepreneurs from China and Portuguese-speaking countries were present. 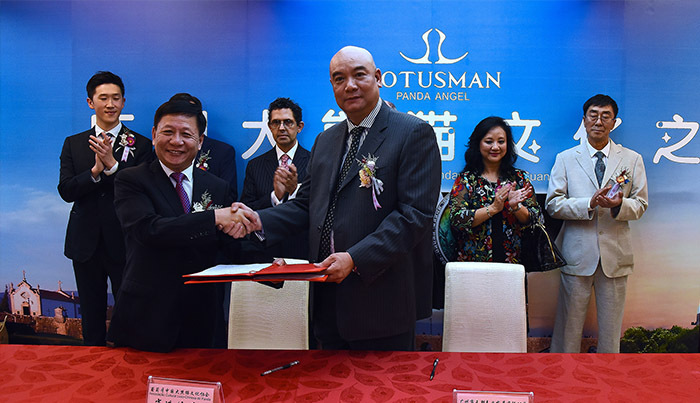 LOTUSMAN also signed a strategic cooperation agreement with the Portuguese Chinese Giant Panda Culture Association. 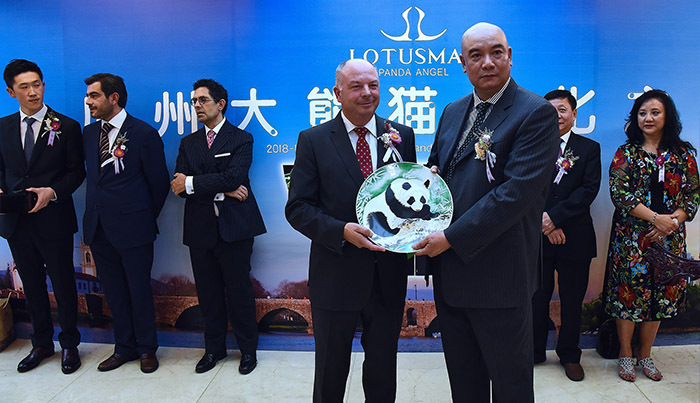 LOTUSMAN is entrusted by the Portugal-China Giant Panda Culture Association as the only watch manufacturer in the world. Liang Fubiao, Chairman of Guangzhou Tianlin Watch Industry Development Co., Ltd. introduced that the custom-made culture of LOTUSMAN dated back to 1932. In order to convey an ideal of love, Mr. Bernard, the founder of LOTUSMAN insisted on offering engraving service for couple customers for free. Later, LOTUSMAN offer more advanced craftsmanship services such as precious metal image micro-carving and enamel painting. Human images can be clearly printed on the watch, and the picture can faintly project the brilliance of the shell and the jade-like texture, which has exceeded the skill level of the Swiss factory. In recent years, LOTUSMAN has combined the world's latest translucent image photocopying technology with special shell materials to invent a new watch's fast personalized image customization technology. In 2012, it has obtained personalized image and text engraving patent in China. The patents help engrave the unforgettable moments of lovers on the watch. The launching Giant panda series watches is said to have applied the Canton enamel technique, one of intangible cultural heritage that reproduces the splendid color, which is of fairly high collection value. After years of hard work, exploration and experimentation as well as visiting various artists related to craftsmanship, digging deep into the cultural origins, and searching for skilled painters, LOTUSMAN finally restored the Canton enamel technique in 2017 with its original raw material and applied it to the production of high-end watches and fine arts. Through the application of Canton enamel technique on watch, LOTUSMAN hopes to introduce Canton enamel to more people, and pass down the traditional Chinese art treasures. 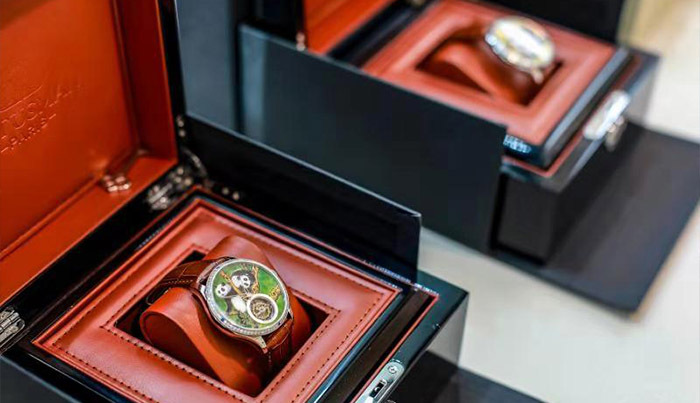 Moreover, the Panda watches series are also made with high-precision production equipment from Switzerland and Japan and the tourbillon craft movement. Its production process and cultural creativity have reached the world-class level.